I had a few projects on the go over the Christmas period, two I will share with you in another time. I was really pleased they all were finished in time, although I did have more projects in mind that didn’t even get started! This project incorporated so much, patchwork, embroidery, applique, felt and hand quilting and was very enjoyable! I loved the finished project and can see this being brought out to decorate our home every year! 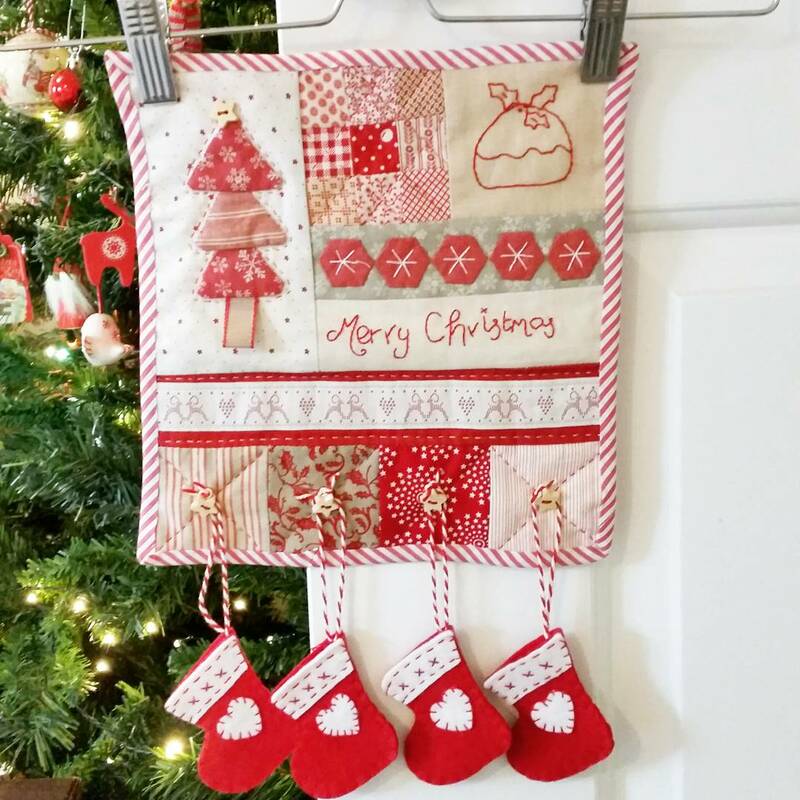 If you fancy this project yourself the sew along is up on their blog. 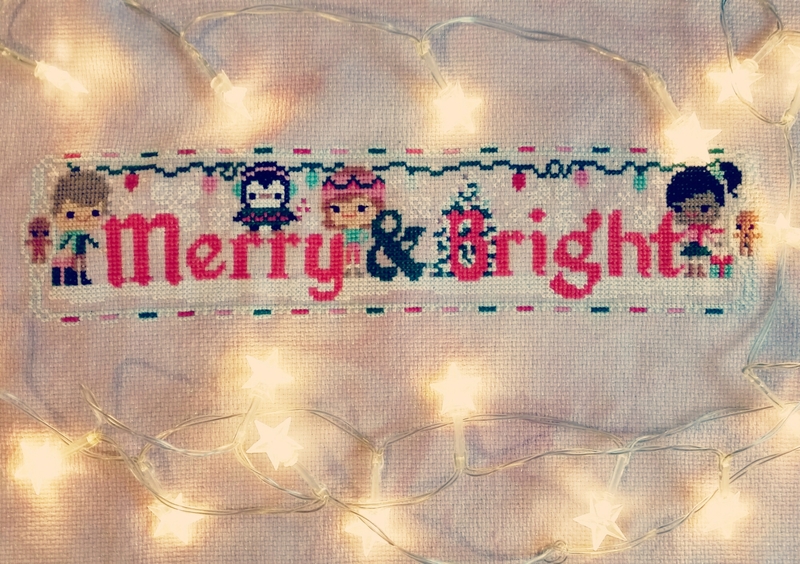 Another sew along I completed was from my favourite cross stitch ladies The Frosted Pumpkins! I’ve found myself doing a lot of cross stitch recently. It’s a nice thing to sit and do of evening when I just want to sit and relax, I don’t have much time to get on the sewing machine these days so this is a good alternative! I’ve been working on another project of theirs, a year long sew along called Pumpkin Passport, and am so close to completion. They have a new sew along starting next week – Happily Ever After and I have signed up to that so am rushing to get the Passport finished. I’ll of course share with you when I have finished! Sadly I never got to finish Story time Sampler from this post so at some point I need to crack on with that too! So many projects but so little time! I know Christmas has been and gone and the decorations have been put away so I hope you don’t mind that I’m a bit out of date with this post. I know it’s a cliché saying this but I really don’t know where the time goes!